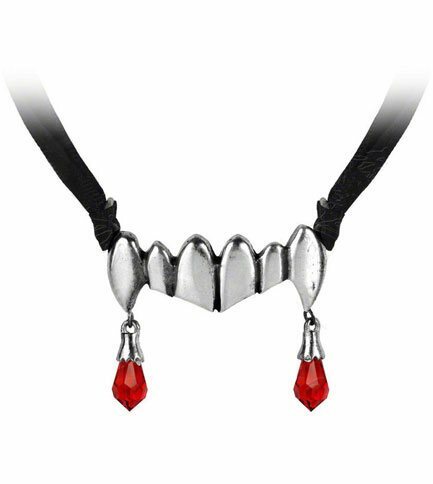 Crystalized blood drips from the fangs at the throat - on black ribbon. 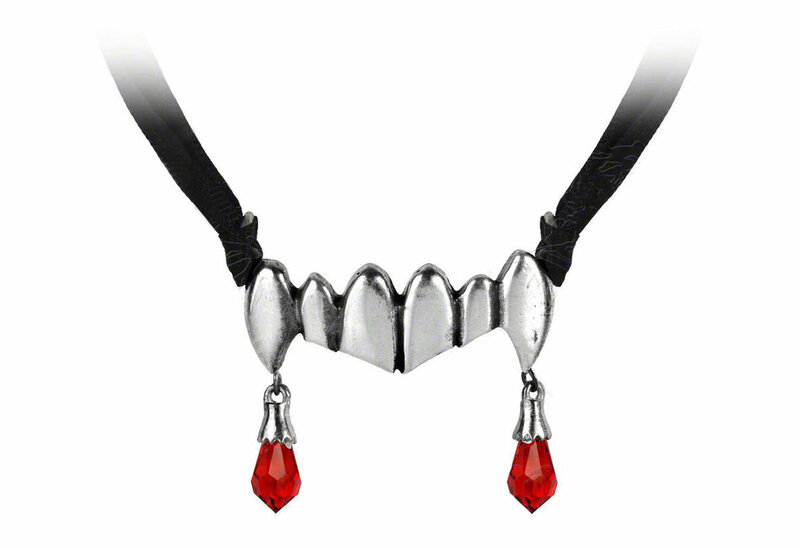 Vamp; short for 'vampire', but also a woman who attracts then seduces men; 'etta' a feminine name ending. By Gothic Alchemy.